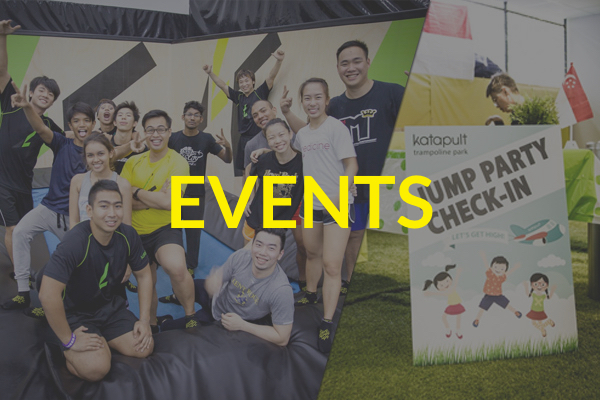 Katapult is open to events like Birthday Parties, Corporate Team-Building, & Schools Outings. Check here regularly for our latest promotions and deals! 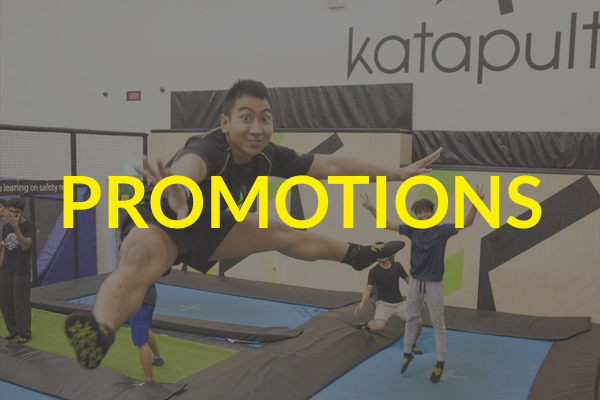 Watch out for our specially designed fitness programmes conducted right within Katapult Trampoline Park. Jump timings start by the block hour. Every jumper (regardless of age) is required to purchase an admission ticket to enter the trampoline arena. For every child 4 years old & below, one adult is to accompany the child (option of jumping for free or just to supervise them). 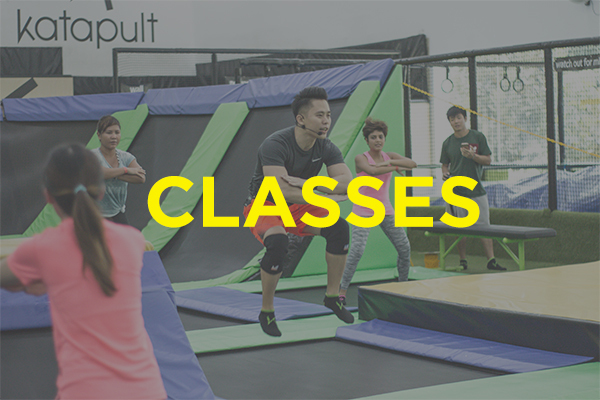 For adults who just want to accompany their children 5 years old & above, a $3 non-jumping companion fee is compulsory with restricted access to only the seating areas and green turf in the trampoline arena.